Valuation services for attorneys & executors. 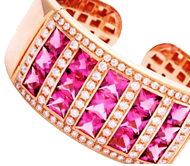 At Frank Pollak and Son's in New York City we specialize in the liquidation of family estates, buying vintage, modern and estate jewelry for cash in the NYC Area. 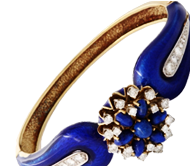 In fact we are among the largest buyers of estate jewelry in the United States. If you are thinking about selling your jewelry please contact us before you take a lower offer from your local jewelry store. 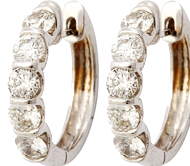 We also provide an extensive selection of better fine quality vintage, modern jewelry, antique and estate pieces. We have a selection of modern and vintage jewelry pieces including necklaces, watches, earrings and rings. Though we pride ourselves on customer care and attention to detail, we are able to offer our jewelry at competitive prices. If you do not find what you are looking for on the following pages please don't hesitate to contact us. Frank Pollak registered his business style with the New York City Business Department in1905. Our first store location was at 214 Christie Street where we spent the next 20 years cultivating contacts in Switzerland and Belgium. In 1932 Frank's two sons, Clarence and Sidney came to work for him. This was the beginning of a long family history in the jewelry business. Over the years Pollak and Son's had many locations on and around the Bowery, (at that time the heart of the jewelry trade in New York City. By 1953 Frank Pollak and Son's opened a second store at 8 west 47 Street on the corner of 5th. Avenue. This was becoming the "new" diamond center for the jewelry trade in Manhattan. In 1962 Tom Murray joined the firm as an expert in antiques and all phases of the jewelry business, Tom retired from the firm in 2007. In 1968 Frank Pollak, the grandson of the founder was brought to work at the family business. In 1974, Beth Watstein joined Frank Pollak and Sons as a renowned jewelry expert. Her knowledge and expertise has helped to further the level of excellence that Frank Pollak and Sons clients have become accustomed to. From 1968 to 1995 Pollak and Son's developed a loyal following of clients and perfected their approach of customer service and attention to detail. 1995 saw the move to their present location at 608 fifth Avenue, where the tradition of customer satisfaction prevails as strong as ever.